Over the last 15 years, the internet has changed our lives more and faster, than almost any other invention in history. This constant in our everyday lives has had an impact on so many fields, professions, socioeconomic groups, and more. The internet has changed commerce in a big way. Now, you don't have to go stand in long lines, or walk through crowded malls. You can sit on your couch and shop for almost anything online. In many instances, you can save money, as a good amount of online shopping can be done tax free. Beware, this is subject to change, but it has been major in recent years. Consumers are not the only ones saving money. Businesses are, too. With the option of being mostly, or completely online, companies can save money on costs they had to have in the past. Lower utility bills, and maybe even fewer employees (which we definitely don't endorse) are results of the internet business model. However, a McKinsey Global Institute study from Spring 2011 found: for every job destroyed by the internet, 2.6 were created. So maybe one business needs less people, but another either needs more, or gave way for a new entity to be created. No matter how you look at it, the internet has had a major impact on business. Favorite B.A.F.F.L.E.D. topics for sure, and greatly changed by the internet. Now, because of the technology brought on by internet-based devices, legislators have to do their best to stay on top of the pros and cons this invention brings. Texting while driving was unheard of in the 90s, and no one ever considered the impact online sales would have on tax revenues now-missing from local governments. Because the internet is so vast in information and capacity, privacy laws must remain updated, as well as considerations for Freedom of Information Act requests. As technology continues to advance, legislators will find themselves quite busy in keeping up. Surely you remember having to see the movies you loved in theaters, later on VHS or DVD, with no other option. Now, movies can be streamed online and watched on an array of devices. The internet has made it easy to watch films for consumers, and harder to keep track of rights and licensing for producers. With the option to stream and store movies on hard drives also comes the ease of sharing, coupled with a loss of profits for producers. This is not something unique to the film industry, but is shared in music, fashion and other creative arts as well. The pros and cons can often be compromising. 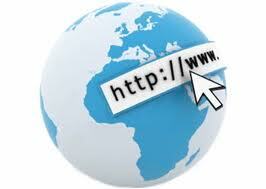 The internet has made international trade easier in a number of ways. Consumers can have products shipped to them at quicker speeds, and have a greater shopping capacity as the market has opened into global arenas. Also, the ability to convert money has grown easier as so many have embraced the internet as a portal for business. Conversely, the internet is a means for infringement, allowing for piracy and harm to brands simply wanting to protect their image in the market. With heightened crime on the internet, the bureau of Immigration and Customs Enforcement is tasked with seizing foreign websites accused of copyright infringement as well as other harms to consumers. As we get more advantages to having the internet in our world, we get a host of precautions to take, too. Stay tuned for Part 2 of the changes the internet has brought our way. You won't want to miss the rest next week! Very useful article. I learned interesting things that I did not know until now. I would love to see you again interesting things on the site that will help me for my sites. Glad you enjoyed the post. Part 2 coming next week!